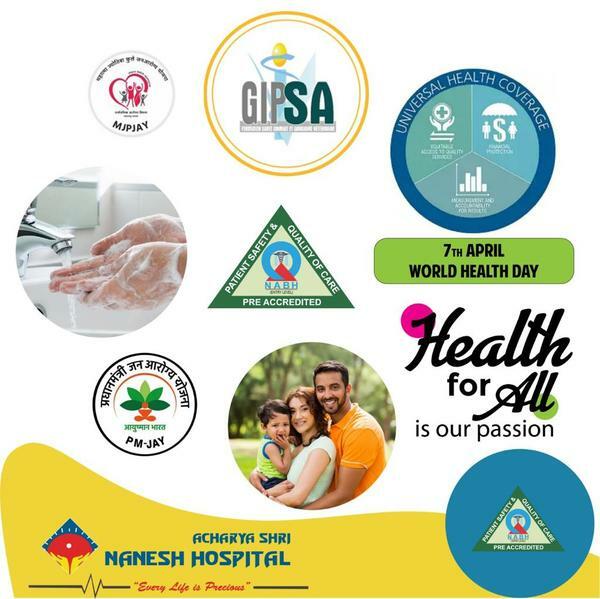 Updates | Acharya Shri Nanesh Hospital in Mumbai,ACHARYA SHRI NANESH HOSPITAL It was started in September 2013 with an idea to provide Quality Healthcare to all sections of the society at very affordable cost without compromising on the standards. It's a multi speciality corporate Hospital CBD Belapur, Navi Mumbai Maharashtra India. We would like to introduce our self as a team of doctors and medical staff who are involved in dedicating medical healthcare services providing to the society more than a decade. It is a full fledge multispecialty set up comparing of latest technology equipment which are most contemporary in their category to provide most sophisticated preventive diagnostic & curative health care services under one roof at an affordable & experienced RMO’s staff nurses & paramedical staff are available for service. 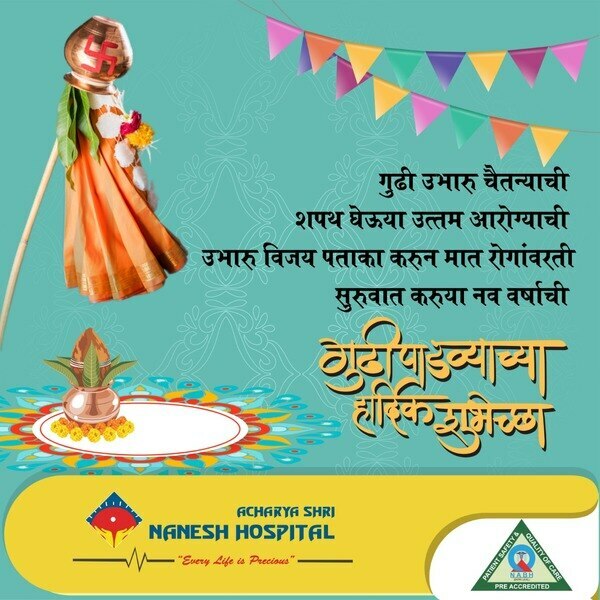 Our hospital is a full fledge facility of four operation theatres major & minor, fully equipped with modern state of art equipments, 24 hours emergency room, in house pharmacy, digital computerised x- ray, Ultrasonography, stress test (TMT), physiotherapy department, fully equipped operation theatre with laminar air flow &positive pressure system, fully furnished centralised ac, we are offering all facilities under one roof. 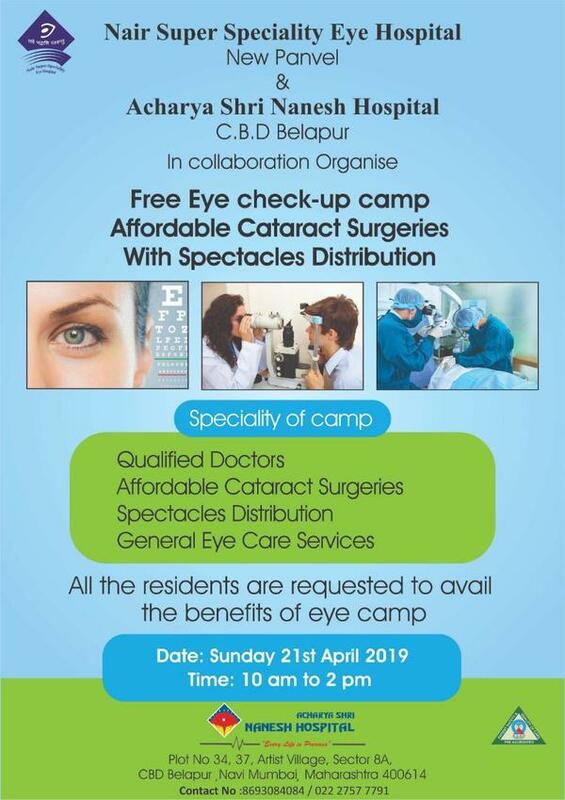 Acharya Shri Nanesh Hospital is organizing free Eye check-up camp on Sunday, 21st April 2019 FROM 10:00 AM TO 02:00 PM. 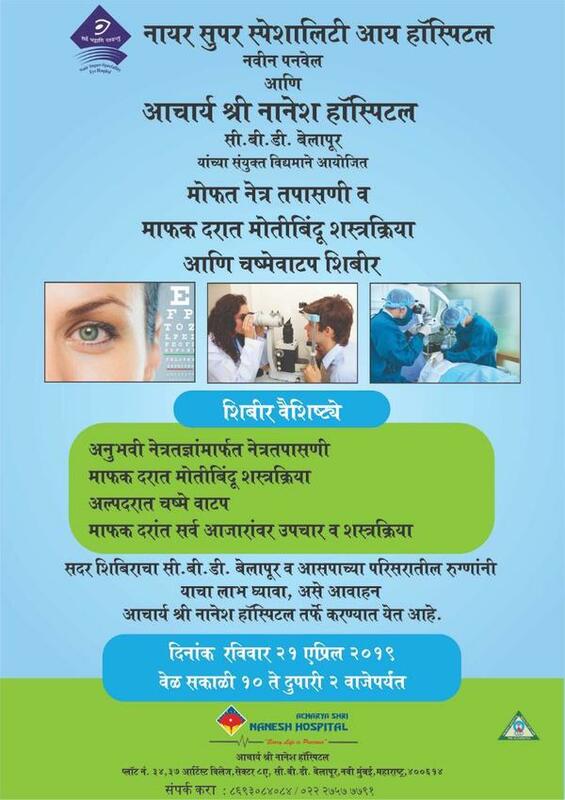 FREE EYE CHECK-UP CAMP AFFORDABLE CATARACT SURGERIES WITH SPECTACLES DISTRIBUTION. Ignoring any sort of pain may lead to a serious problem. 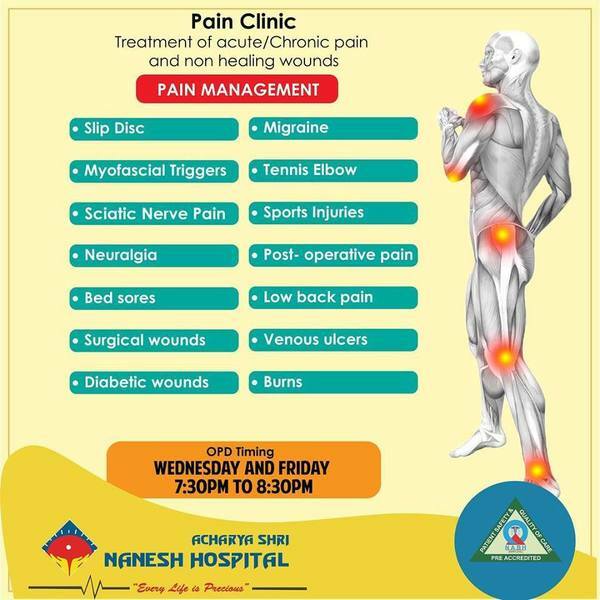 Acharya Shri Nanesh hospital provides you a solution to all your Painfull conditions like :- Slip Disc. Migraine. Low Back Pain. Sports Injuries. Diabetic Wounds. Tennis Elbow. Surgical Wounds. Burns. 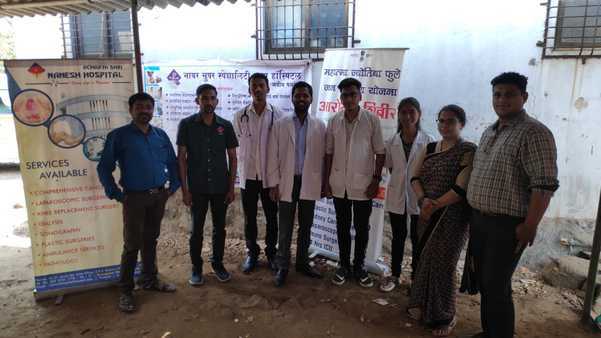 Acharya Shri Nanesh Hospital has arranged a health checkup camp at kurdus - Alibaug, in association with Dr. Abhiraj Patil & Dr.Leena Patil. 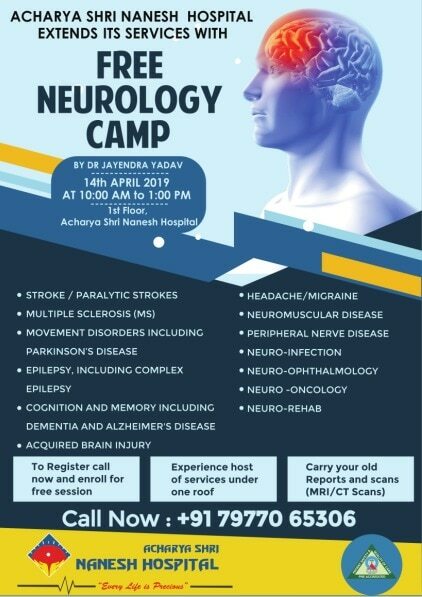 During this camp, patients were screened for various ailments like Diabetes, Hypertension, Hernia, Cataract and other medical and surgical conditions. 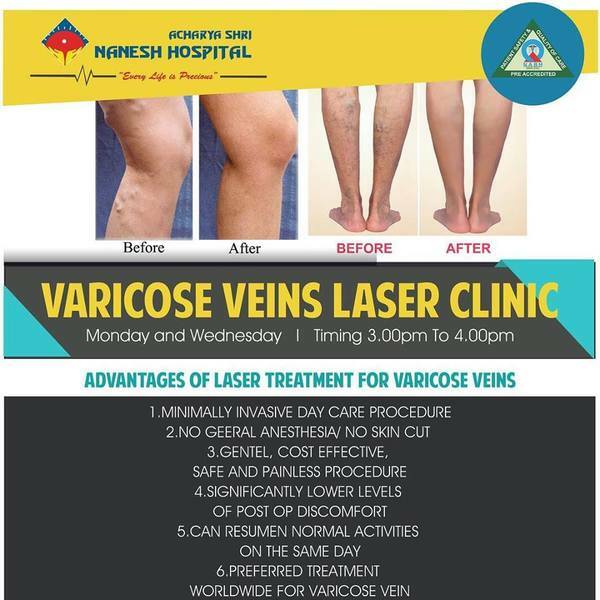 At the VARICOSE VEINS Clinic at Acharya Shri Nanesh Hospital, our trained and experienced doctors use laser therapy treatment techniques to help remove those painful lumpy and bumpy varicose veins. Drop in for a consultation today! 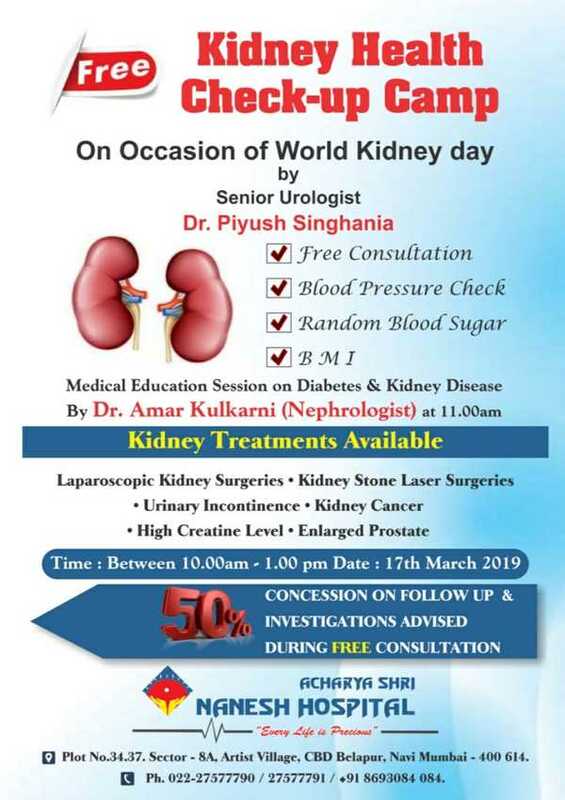 FREE KIDNEY HEALTH CHECK CAMP Acharya Shri Nanesh Hospital is organizing free kidney health check camp on Sunday, 17TH March 2019 FROM 10 AM TO 1 PM. 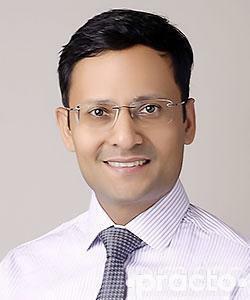 Dr. Piyush Singhania is one of the Best Urologist in Navi Mumbai. 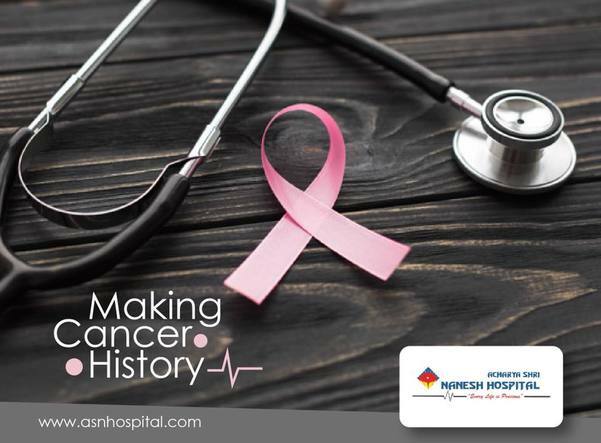 Dr.Amar Kulkarni is a leading Nephrologist supporting the cause along with Dr. Piyush Singhania.